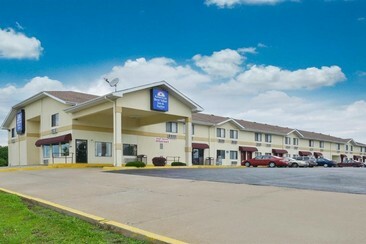 The Americas Best Value Inn & Suites Harrisonville is conveniently located off I-49-US 71, exit 160 and nearby ample recreation venues as well as Kansas City area attractions such as Worlds of Fun amusement park, Isle of Capri Casino, Hoots Hollow Golf Course, Burnt District Museum, and Independence Center. At Americas Best Value Inn & Suites Harrisonville, handicap accessible, smoking, and non-smoking rooms are all available. The amenities include a microwave, mini-fridge, coffeemaker, free local calls and high-speed WiFi, cable TV with HBO channels, hairdryer, wake up calls, and more. At Harrisonville Restaurants, guests can also discover The Local Flavors and enjoy free deluxe continental breakfast with hot waffles. The Comfort Inn & Suites hotel provides easy access to Interstate 71 and is close to a number of businesses and area attractions in western Missouri. This hotel is close to the Wal-Mart Distribution Center, the Arm & Hammer manufacturing plant, the Cass County Justice Center and the Cass Regional Medical Center. Outdoor enthusiasts will enjoy being near Lake Harrisonville. This recreation area boasts an abundance of things to see and do, including fishing, boating and water activities galore. Downtown Harrisonville has a number of retailers and antique shops and is just minutes away. 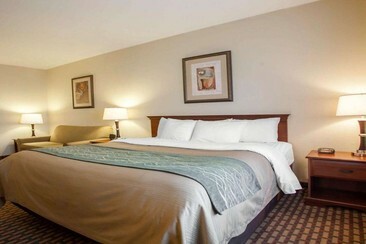 Comfort Inn & Suites features an indoor pool and a fitness center. Public areas are equipped with complimentary wireless Internet access. This hotel offers access to a business center and a meeting room. Onsite self-parking is complimentary. All guest rooms are equipped with coffee makers with free coffee, curved shower rods, hair dryers, 32-inch flat-screen televisions, pillow-top mattresses, voice mail and cable television. Tumbleweed is a country music festival in La Cygne, Kansas. One for the purists, the festival is an unabashed celebration of all things country. 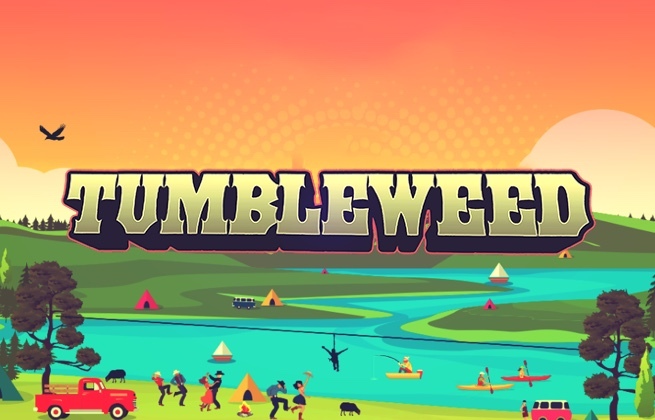 Heading into its fourth year, Tumbleweed curates a lineup of acts ranging from hidden gems to legends. Set in the heart of the Kansas forest, the festival boasts one of the most scenic sites in the country, surrounded by old growth forest near La Cygne Lake.